We have scheduled a new Level I Basic Sniper course for 12 – 16 August 2019. The course will be hosted by the Sequatchie County, Tennessee Sheriff’s Office and will be held at the Dead Zero Shooting Park in Spencer, TN. Dead Zero is our newest industry partner and we are excited about holding our Level I Sniper course at their facility. Housing will be provided for the course at the Fall Creek Falls State Park, Group Lodge 2 at no additional charge making this an excellent training opportunity and experience. We have enjoyed a long standing relationship with The Tennessee Army National Guard and have provided training at both VTS Tullahoma and VTS Catoosa over the past 10 years and we will continue to provide training at VTS. However, demand both on the training sites and for our courses have increased making it necessary to seek additional training venues. We are excited to be able to provide this course at Dead Zero Shooting Park. Dead Zero Shooting, LLC is veteran owned and was established with the goal to provide a high quality, expansive shooting park. We work to provide a world-class shooting destination with everything from Sporting Clays, to a unique 1,000-Yard Electronic Target Range. See the Training Schedule page to download the registration packet. The Murfreesboro Police Department will host LE Rangemaster 26 – 30 August. Enrollment registration will be announced soon. ALSO COMING IN OCTOBER SWAT OPERATOR I hosted by the Lebanon, TN Police Department. More info coming soon. SPS CEO Denny Elliott will be presenting at the International Association of Law Enforcement Firearms Instructors (IALEFI) Annual Training Conference in West Palm Beach, Florida, 5 – 10 May 2019. Denny will be teaching a 4-hour live-fire workshops on Thursday, 9 May. The workshop, “Why Do They Shoot Like That?” – The Effect of Human Biomechanics and Weapon Ergonomics on Accuracy will be taught twice on that date starting at 0800 hours and again at 1330 hours. We invite you to join us for the IALEFI ATC. For more information, visit www.ialefi.com. Go to the Training Schedule Page for links to registration packages for these classes. Upcoming classes – Level I Basic Sniper – Schedule pending for the Southern Middle and East Tennessee. Announcement coming soon. Contact us for hosting opportunities for SPS/HGTG Courses. SPS at the TLETOA Conference! 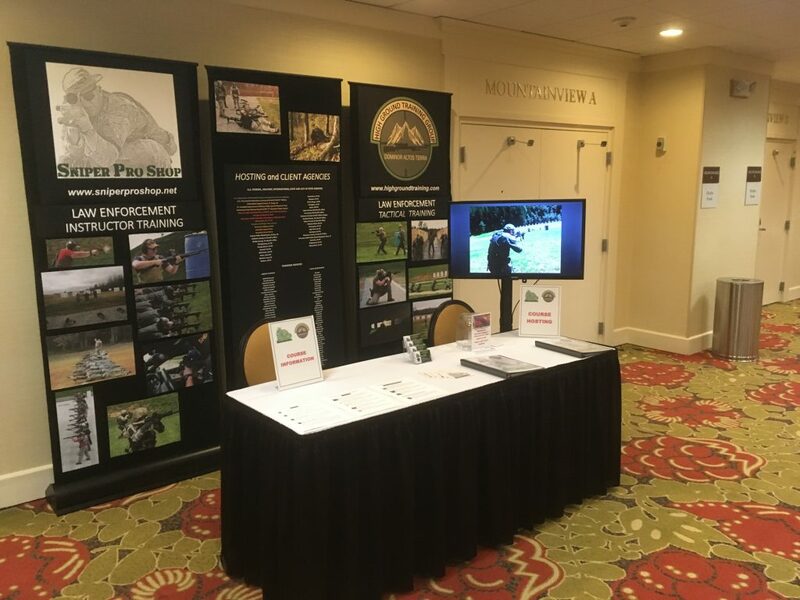 Thanks to all who stopped by the SPS/HGTG table at the TLETOA Conference in Gatlinburg, TN. It was great seeing everyone as I begin this transition from being a full-time LEO to a service provider for the law enforcement and tactical community. Designated Marksman Series – One of the first in the nation and possibly the most comprehensive in the country. SPS/HGTG will also work with client agencies to provide specialized training developed to fill the tactical needs of the agency. We are actively seeking hosting agencies for training in 2019. Contact us for course catalogs and hosting packets. Hosting agencies receive tuition free positions in the hosted course. Registrations for Level I Basic Sniper, Level II Advanced Sniper and Level IV Sniper – Mixed Terrain Target Interdiction are now posted for download on the Training Schedule Page. SPS/HGTG is on the move for 2019 and seeking hosting agencies for our training programs. Contact us for hosting packets and custom training project information. The training programs currently taught by SPS/HGTG were originally conceived and written with a plan of offering professional and affordable training to LEO’s. This concept became reality and for the last 18 years, we have trained snipers, operators and instructors across the U.S. and Canada. While the training classes began as extensions of my employing agency and team, demand made it necessary to build a dedicated training base of operations. As such in 2005, High Ground Training Group was formed as a subsidiary of SPS and became the training wing of our company. The group has subsequently matured and grown in recognition and we have trained hundreds of snipers since that time. During all of these years, we have maintained full-time positions in our respective law enforcement agencies. With that said, a significant change is imminent. After a career spanning over 29 years, I am retiring from my agency in December of 2018. At that time, SPS/HGTG will begin operations as a full-time company. The transition to operating on a full-time basis has already begun and I have been actively working to expand the reach of SPS by becoming more mobile in order to bring our training directly to other regions of Tennessee as well as the rest of the country. Plans are currently in the scheduling phase for upcoming courses in North and South Carolina. In addition, we already have a sniper class scheduled to take place in Juneau, Alaska in April 2019. We are presently seeking hosting agencies to bring our courses nationwide. Since 2010, we have taught our Level I, II and IV sniper courses at the Tennessee Army National Guard Volunteer Training Site in Tullahoma, TN and consider our company fortunate to be a regular and preferred training provider at the site. During our relationship with VTS throughout the years, we have also been uniquely positioned to witness the growth of the VTS. While we hope to continue to train at VTS well into the foreseeable future, it has become clear to us that the VTS Tullahoma is busier than ever and it has become more difficult for them to provide us the facilities on an as-needed basis. Due to that fact, you should expect that fewer classes may be being held at VTS, especially courses such as Level I Sniper since that particular program can be satisfactorily accomplished without the need for extensive range facilities. For that reason, we have a hosting agency packet available which outlines the necessary facility requirements for each of our classes and greatly encourage your agency to host future courses of interest or need. As you know, one of the primary benefits of hosting our classes is the tuition free enrollment of your personnel in the hosted course for two personnel. Please contact me and I will provide you with a hosting packet for your review, consideration, and completion. Our latest professional and tactical achievement as well as challenge has been the implementation of a LEDM training program for shooters and trainers to establish programs at the agency level. We have based our program on the highly effective military Designated Marksman program while emphasizing the rapid response and close range encounters that LE patrol personnel may face. LEDM’s are not snipers but are trained to move rapidly to violent incidents and provide immediate overwatch and target interdiction with improved weapon systems and training. The program includes a 32-hour basic LEDM class and a 24-hour Train-the-Trainer component. We are also available to assist in weapon system and equipment consultation for anyone exploring the option. We cannot overemphasize the significance and what SPS/SGTG feels is the cultural timeliness and overall value this program represents for your agency, its officers and the community. We are seeking hosting agencies that wish to explore implementation of the program. Please contact me and I will provide you with a hosting packet for your review, consideration and completion. While we are known as Sniper Pro Shop (SPS) and sniper training has been and will continue to be our cornerstone, the experience and expertise of members of the HGTG team runs the gamut of law enforcement knowledge and assignments and each brings a vast amount ability to the training table. One of our earliest instructor classes was our Law Enforcement Rifle Instructor course that I have taught since the early 2000’s. That course has grown with the use of the AR-15 as a law enforcement rifle and is designed to train the LE firearms instructor to effectively teach the LE rifle program from basic to advanced users. 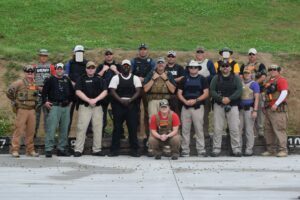 In 2017, after several years of development, we introduced the Law Enforcement Firearms Instructor course to Tennessee officers. Based on a career as a firearms instructor that started in 1992, I approached this course as a means to build teaching skills in firearms instructors and develop their ability to diagnose shooter’s problems. In 2019, we will introduce the LE Rangemaster course as multi-day firearms training and range facility management course. I have taught Law Enforcement Instructor Development for my agency for over six years. Using that course as a basis, we are developing a contemporary LEID course to prepare instructors for the training mission. This will be designed primarily as a Tennessee instructor development course, but we will work with agencies in other states to see if our LEID course will meet their needs. SPS/HGTG became a GSA training provider for Homeland Security in 2016 and is able to provide tactical training for U.S. agencies and military. We have provided basic sniper training to members of the 278th ACR of the Tennessee Army National Guard, Designated Marksman training to members of U.S. Army Special Operations Command, and Federal Agents from the Department of Homeland Security. Finally, a special debt of gratitude goes out to the snipers, operators, instructors and their agencies that have supported us and attended our training throughout the years. Many of these alumni have become some of our best friends and a select few of those have gone on to become members of the High Ground Training Group. Our organization is truly built from within by the fiber of the men and women that we have trained. It has been and it continues to be an honor to serve you. 15 Officers representing nine agencies successfully completed the HGTG LEFI course at the Williamson County Sheriff’s Office Range in Franklin, TN, 7 – 11 May 2018. Six officers from four agencies recently completed the LEDM Course in Cookeville, TN, 15 – 18 May 2018. 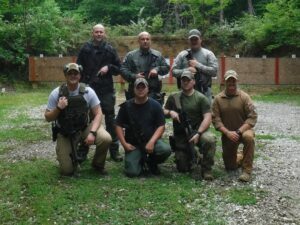 The course was hosted by the Tennessee Law Enforcement Training Officer’s Association. SPS / HGTG is actively seeking agencies for hosting the above courses along with our other courses. We are planning the 2019 calendar now. In September of 2017 we lost a brother and HGTG alumni. CST Mark Neville was traveling with his wife and young sons when a vehicle crossed the center line striking his truck. Mark died at the scene and his wife and kids were injured. 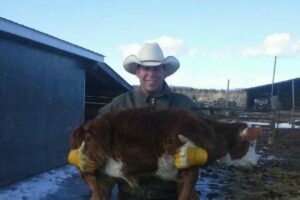 Mark proudly served with the Royal Canadian Mounted Police as a member of an Emergency Response Team in British Columbia. Over $100,000 was raised for Mark’s family through gofundme.com by Mark’s friends and colleagues.